Kiwi fruit is an oval-shaped fruit with a brown outer shell and green flesh with enough seeds in it. Kiwi fruit (Actinidia deliciosa) is a fruit plant originating from China. 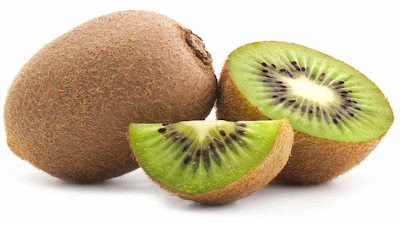 The skin of a brown kiwi fruit contains antioxidant 3 times more than contained in the flesh, but the fruit flesh contain potassium ions are very useful to lower blood pressure high.